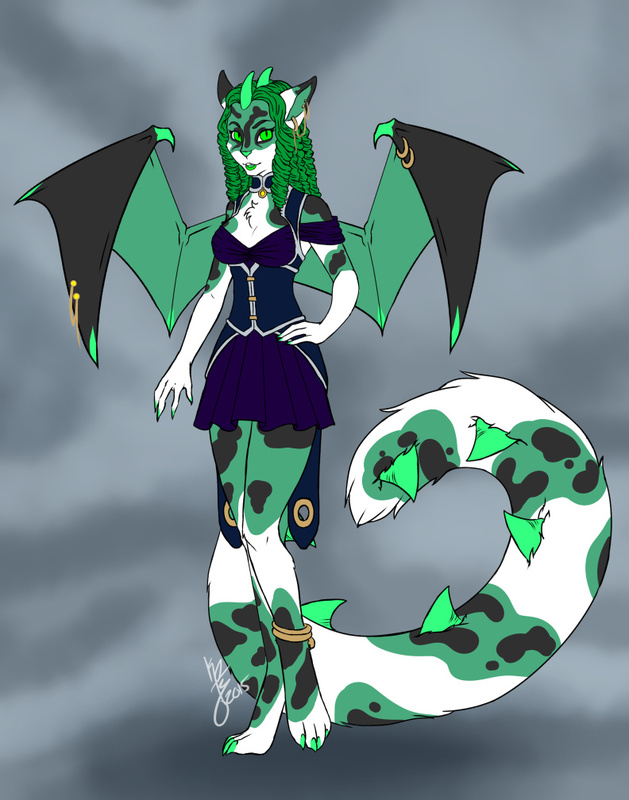 So orangy made this adorable dragon cat girl and decided that she wasn't for her, so I made some grabby hands and purchased this beautiful girl. But, Her name is Absinthe, and she is a Countess. More work to her back story is being formed as I draw more of her. I will be posting more of the two of them soon, but for now. If interested I have a YCH going on with Absinthe.